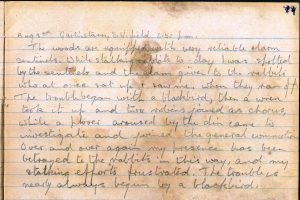 Viola’s hunting plans are ruined by a gang of local birds making a racket in this entry from August 1922. Viola is out stalking rabbits but her attempts to shoot a few for the pot are stymied by the alarm calls of birds at Gartinstarry. First the blackbird gives his distinctive alarm call, something you are likely to hear in your garden as these birds are found all over Scotland in town and countryside. 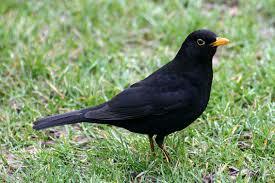 Blackbirds are year round residents in the UK. You can find out more about these charismatic songbirds here. After the blackbird has begun the alarm, it is joined by its tiny neighbour, the wren. 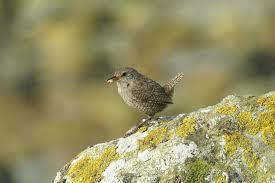 Wrens also have beautiful singing voices that belie their small size. The wren is also a UK resident. You can find out more about their habits here. Another pretty singer although much more striking than the wren is the robin, who joined ‘the commotion’ at this point. Two of these distinctive birds added their voices to the din. 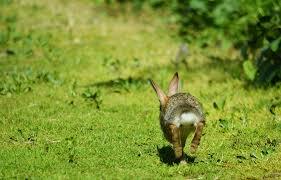 By this time the rabbits were well warned and had made good their escape. 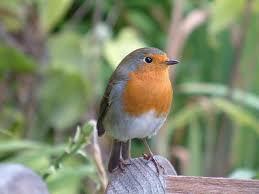 Robins are a familiar sight in gardens in the UK. You can find out more about this beautiful bird here. Viola evidently sees the funny side of the situation when the birds are joined by a plover who has been roused from its hiding place by the noise. 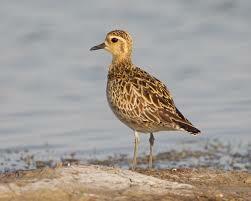 This is likely to have been the golden plover, a summer visitor to Scotland. She comments that this has happened to her before and cites the blackbird as the main culprit. 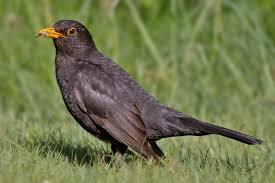 Blackbirds are easily alarmed and their warning call is very distinctive, as is their beautiful song. You will probably have heard this a lot in your garden or when walking in the countryside. Aug 3rd Gartinstarry S.W. field 6.50 p.m.
who at once sat up & saw me, when they ran off. investigate and joined the general commotion. 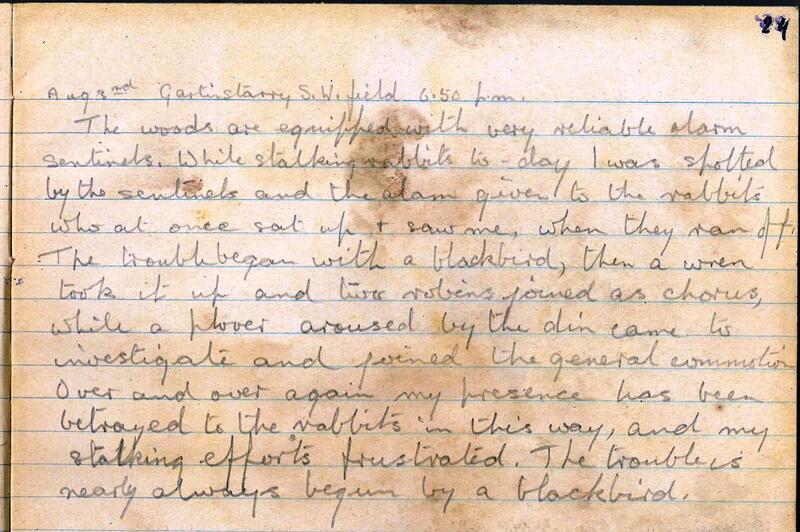 nearly always begun by a blackbird.